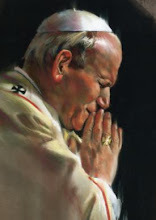 Catechumens - USA: Who Was the Most Influential Saint of His Time? Who Was the Most Influential Saint of His Time? Reread that headline carefully. The question is not who is the most influential saint of all time, but rather of his or her time. The answer to the former is probably easy. I imagine many of us would tick of one of the following—St. Francis, St. Catherine, St. Patrick, St. Anthony, St. Joseph, St. Therese of Lisieux, St. Augustine, St. Thomas Aquinas, St. Dominic, to name just a few—it’s a long list. But the second question—who was most influential in his lifetime?—is a bit of a head-scratcher. 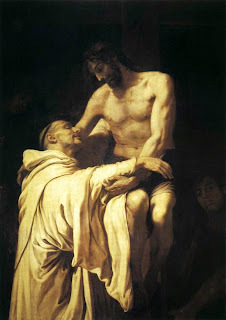 Answer: St. Bernard of Clairvaux. No man before or since who held no office of power throughout his life bestrode his age as did this monk of genius and of leashed but flaming passion, juridically only one of the many hundreds of abbots in the Church, yet the terror and inspiration of emperors and kings, the shield and sword—and where necessary the goad—of Popes. No historical determinist theory, no calculations of material or institutional power and influence can begin to account for St. Bernard of Clairvaux and what he did. This is high praise, even for a saint, but St. Bernard deserves it. During his life, he launched a sweeping reform of the religious life in Europe, squashed a major anti-trinitarian heresy, nearly single-handedly averted a schism in the Papacy, and sparked a new crusade to Jerusalem, according to Carroll’s account. His achievements do not stop there. St. Bernard, among other things, also drew up the rule for the legendary Knights Templar and was one of the founders of the Cistercian order. He is also credited with writing about ten treatises. And, it is to him, that we owe prayers like the “Memorare” to Mary and hymns such as “O Sacred Head Surrounded.” Indeed, it is hard to think of a saint whose do deeply touched so many different areas of the social, political, and spiritual life of his time.